During my third pregnancy my breakfast was either a toast with peanut butter or a toast with honey and … peanut butter. When you eat that much peanut butter you become very particular about it. At first I tried every brand and variety at Whole Foods, then I raided amazon online store. Finally, I started (and I swear I did have better things to do) going on the internet typing in things like “the best peanut butter in the world,” “peanut butter to die for,” and “peanut butter or die.” One of the entries that came up was about how to make homemade peanut butter. What? Why didn’t I think of this before?! I tried it. It was super easy. Once you try it, you will also be wondering what took you so long. One warning though. Once you go the homemade butter way there is no turning back. The store bought variety will never be up to your standards anymore. 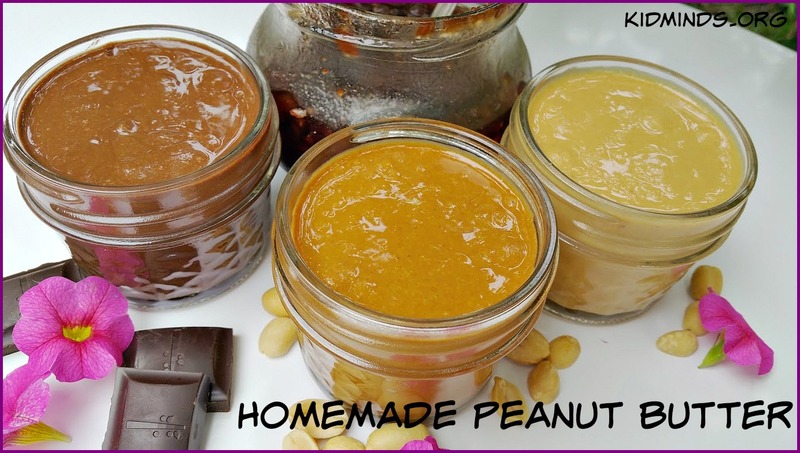 This homemade peanut butter has one ingredient. Yep, you guessed it. The ingredient is …. 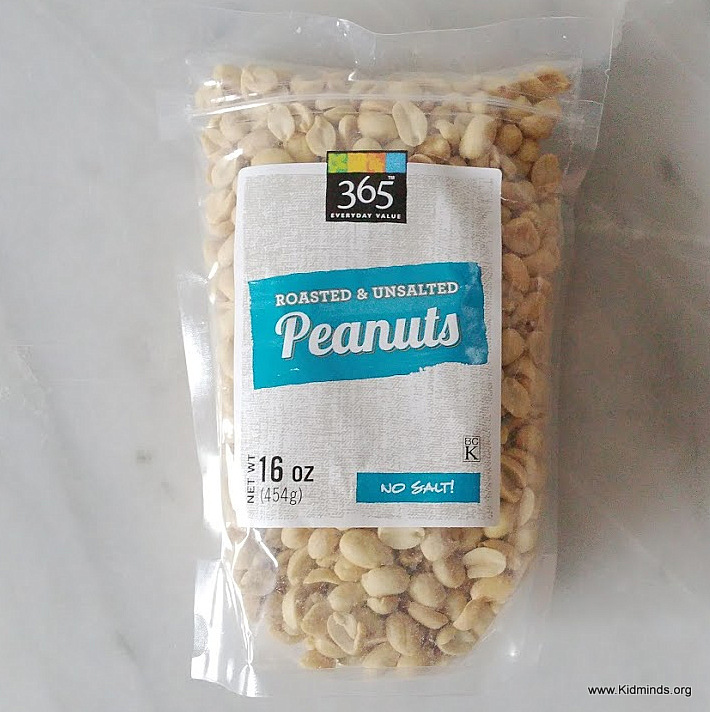 Your peanut butter is only as good as the peanuts you use for it. The only kind I like is the one you see on the picture. An additional thing I like to do is to toast peanuts before use. I know, I know it says roasted, but toasting it gives it an incredibly deep flavor and even slightly changes its consistency. I have done it without toasting and it tastes great. But I figured if I go all out making my own peanut butter, I might as well add this little thing for better results. 1. If you are toasting peanuts, heat the oven to 325F. Place the nuts on a baking sheet and toast for about 10 minutes. I say “about” because all ovens are different and peanuts do burn pretty easily. So don’t go too far and keep an eye on them. You want a slightly golden color. The peanuts will look wet and glossy with oil. 2. 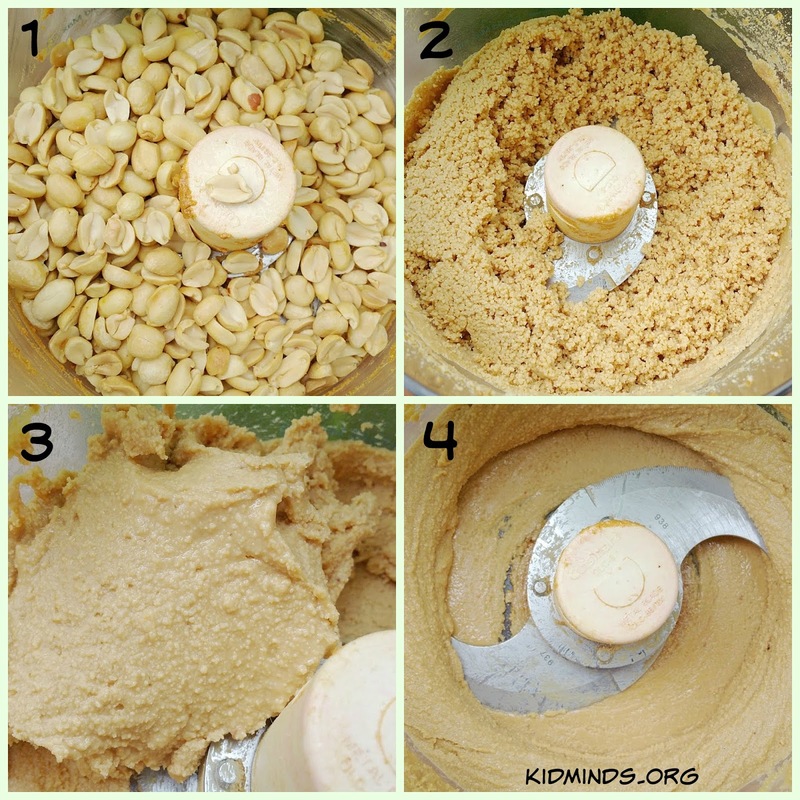 Put peanuts in a food processor and run for a minute. Open the lid and check if you need to scrape down the sides. Close it and process an additional minute or two or three. 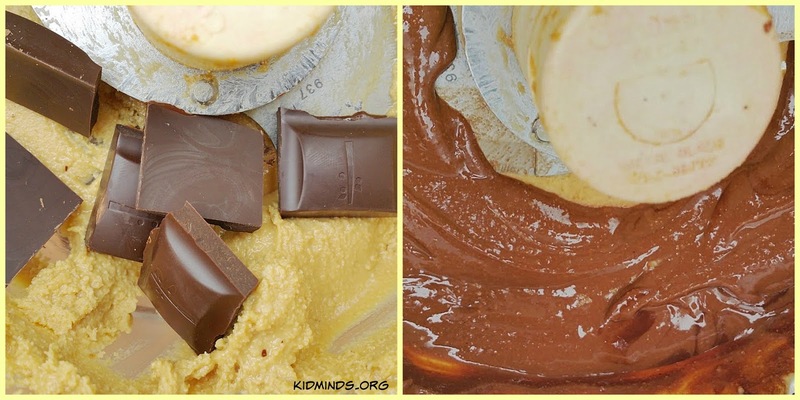 Basically, the longer you go, the smoother the consistency. So, it all depends on your taste. Note how on pic 3 there still some itsy bitsy chunks in there (that’s a “no” for my kids). Pic 4 depicts an awesome creamy smoothness. Note: if you love a chunky peanut butter, then save half a cup of peanuts in the beginning and add it just before the end. 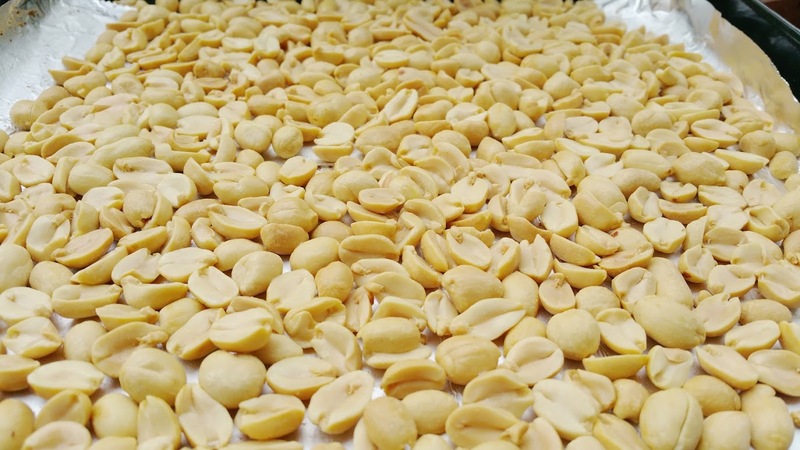 Note: You might or might not have noticed how the quantity of peanuts is decreasing with each consecutive photo. No magic involved. Just lots of tasting…. You got to get it right, you know. 3. Transfer peanut butter into your storage container. Cover. Refrigerate. Done. Unless….. unless… you like to play with flavors. 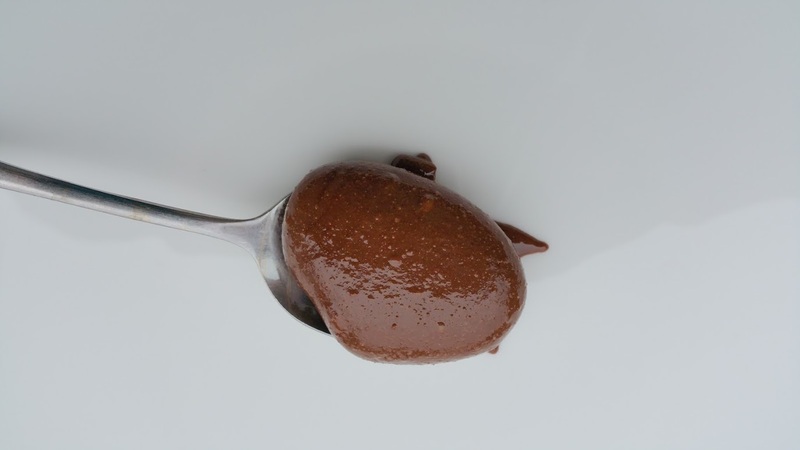 You can add maple syrup, another nut butter (hazelnut is my favorite), cocoa powder, cinnamon, raisins…. but we like to go for something more decadent…. 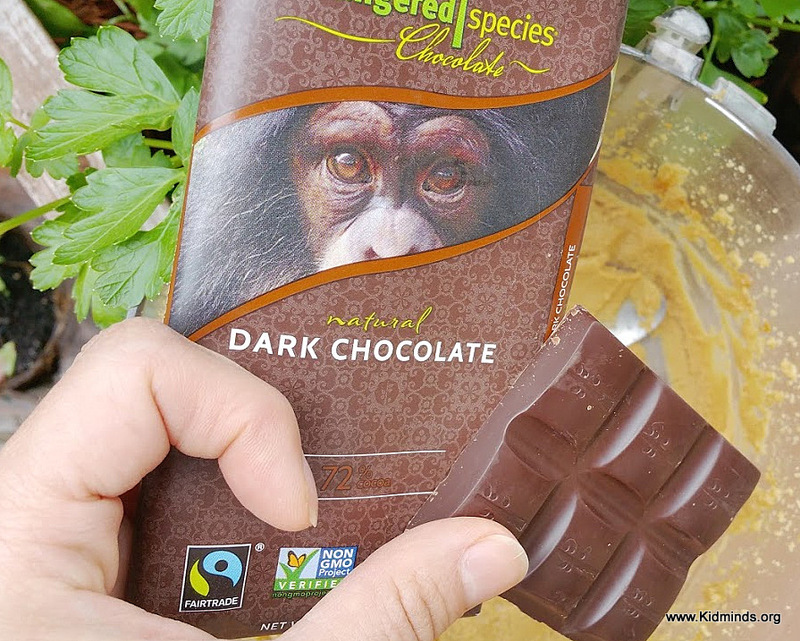 Yep, chocolate…. Just break it into pieces and drop it in the food processor along with some peanut butter. Mmmm….. I didn’t have lunch yet, so don’t show me this pic. Wait you are not showing it to me. I am doing it to myself. Lunch break! 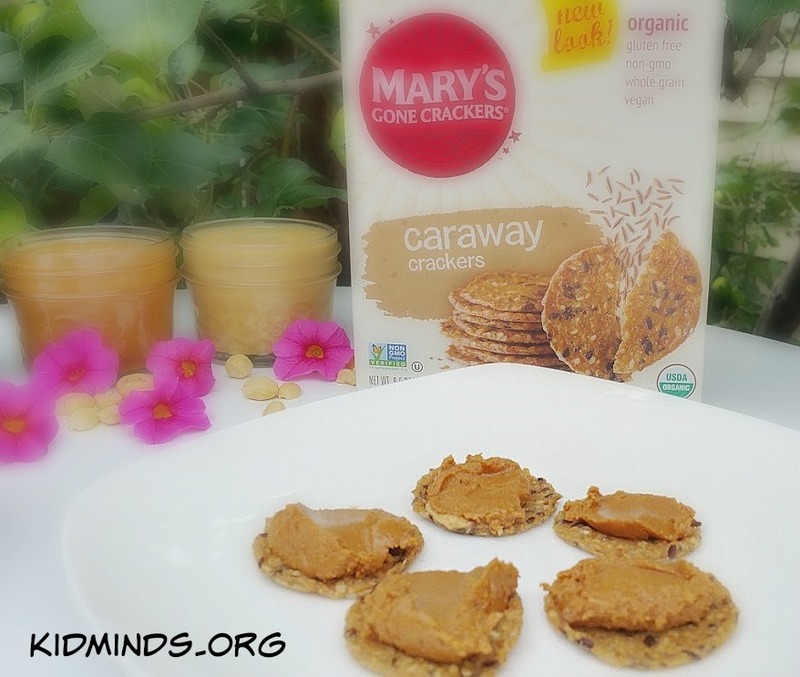 We like to eat peanut butter with celery, apple slices, toast, but our favorite is Mary’s Gone crackers caraway crackers. Hey Buddy!, I found this information for you: "Homemade Peanut Butter". 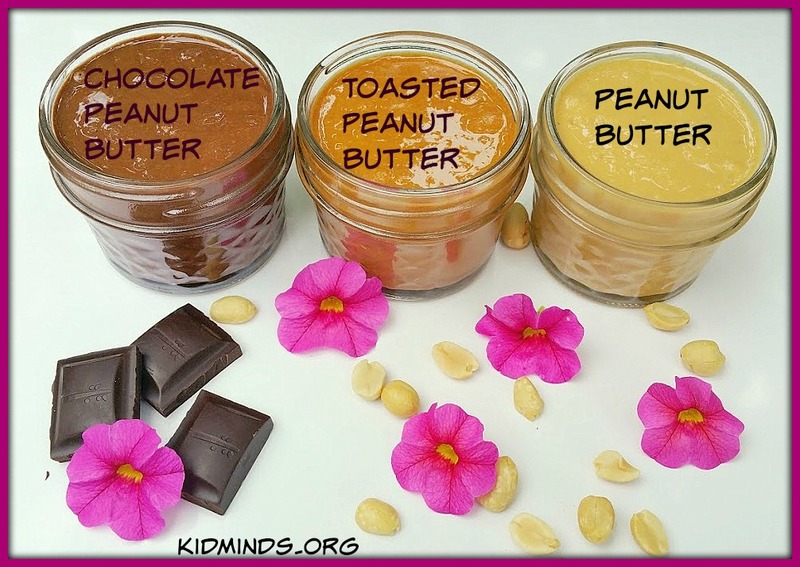 Here is the website link: http://kidminds.org/homemade-peanut-butter/. Thank you.